SpiceJet’s flight connection between Chennai and Madurai is available at a starting fare of Rs. 1,497. Budget carrier SpiceJet has announced twelve new domestic flights at a starting all-inclusive price of Rs. 1,497. 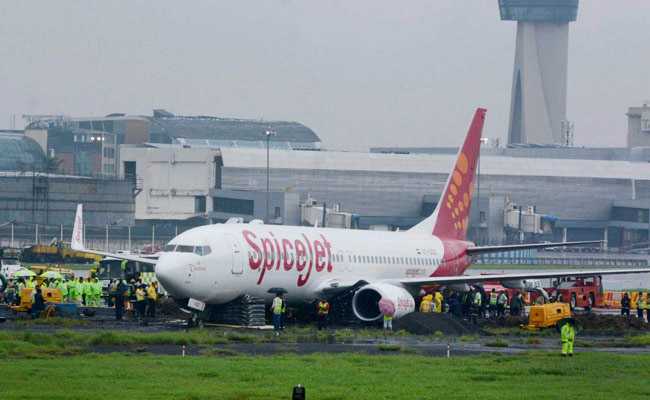 The daily direct flights introduced by the carrier, will operate on the Dehradun-Jammu, Dehradun-Jaipur and Dehradun-Amritsar routes, starting from January 20, 2019, noted the Gurugram-based airline on its official website- spicejet.com. SpiceJet will also enhance frequencies on the Jaipur-Varanasi, Chennai-Madurai and Hyderabad-Vijayawada sectors, with effect from January 20, 2019. SpiceJet’s announcement comes amid high competition in the country’s civil aviation sector, boosted by robust growth in passenger traffic registered over past few months. SpiceJet’s flight connection between Chennai and Madurai is available at a starting fare of Rs. 1,497. The airline has announced an introductory promotional fare starting at Rs. 1,558 on Madurai-Chennai, Rs. 1,648 on Vijaywada-Hyderabad, Rs. 2,200 on Hyderabad-Vijaywada, Rs. 2,726 on Varanasi-Jaipur, Rs. 2,766 on Dehradun-Amritsar, Rs. 2,888 on Jaipur-Varanasi, Rs. 2,995 on Amritsar-Dehradun, Rs. 3,396 on Dehradun-Jaipur, Rs. 3,787 on Jaipur-Dehradun, Rs. 3,814 on Dehrdaun-Jammu and Jammu-Dehradun routes.The bookings for these flights are open on SpiceJet’s website, mobile app and through online travel portals and travel agents. “SpiceJet will deploy its Bombardier Q400s on all these routes thereby further strengthening the airline’s network across north and south India,” the carrier said in a statement. Meanwhile, rival Jet Airways announced a discount of up to 50 per cent on domestic and international flight tickets under a special ‘Global Sale’ offer. Jet Airways’ discount offer — applicable on base fares in premiere and economy booking classes on select domestic and international flights — is valid till January 11, 2019.